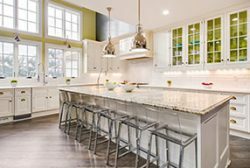 You are here: Home > Uncategorized > What Countertop Material is Right for You? Designing a kitchen or bath can be a daunting task. Selecting the perfect color pallet and then matching appliances, faucets and accessories is enough to make your head spin. Just when you think you have everything under control, it is time to pick out the countertops. Now you are faced with selecting the right material as well as the perfect color and pattern. 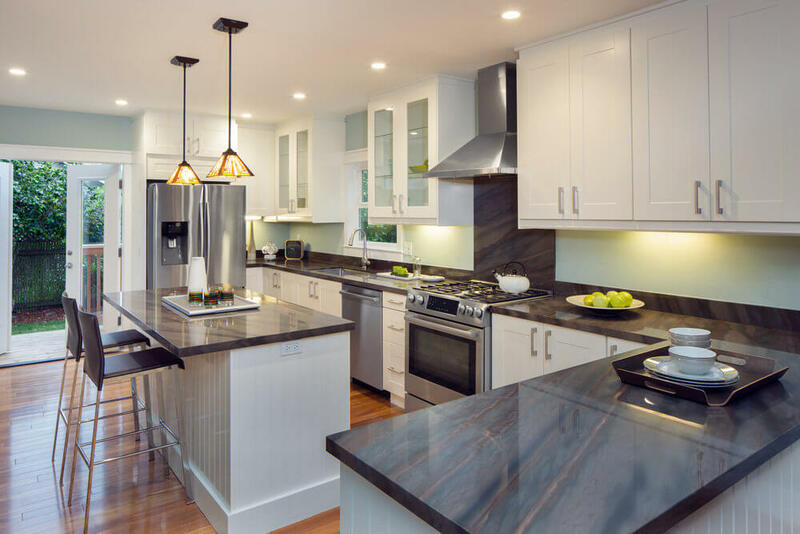 To help you get started, below is a breakdown of some of the most popular countertop material on the market. Made from one of the most durable minerals on earth, quartz countertops offer benefits that can’t be found in 100% natural stone surfaces. The resins and polymers used in the manufacturing process allow for a variety of color options, and the low maintenance material is resistant to stains, heat and scratches. No regular sealing or upkeep is required to keep these countertops beautiful. Granite is a natural stone that offers colors and patterns unique to every home. Along with its aesthetic beauty, granite is also very durable and highly resistant to scratches and heat. 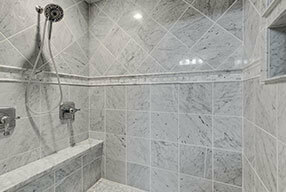 Similar to granite, marble is heat resistant, however, it is prone to scratching and etching. To avoid lasting damage, highly acidic foods or drinks (like orange juice, lemons or vinegar) should be wiped up quickly using a mild cleaner, and cutting boards should always be on-hand to prevent scratching. 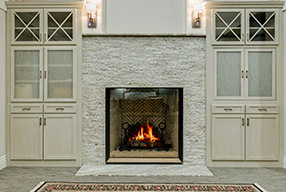 Choosing marble with a honed finish can help hide the effects of etching and scratching. The beautiful and timeless appearance of soapstone has been used in kitchens for hundreds of years. Impervious to stains and heat, there is no regular upkeep required for soapstone surfaces. Some homeowners choose to oil their countertops to give them a more polished look, but this is not necessary. Where soapstone falls short of other natural stone surfaces is that it is easily scratched. Quartzite is a durable stone material that is known for its rich colors and veining. Not to be confused with quartz, quartzite is a 100% natural stone material. Harder than granite, quartzite is highly resistant to heat.